I’m Sicilian and I love my country, I believe that among all the very beautiful Italian regions, Sicily is the most complete one in which nothing is missing – the sea, mountains, snow, countryside, history and culture, in short, a mix of art and culture unique in the world. Given my passion for Sicily, I would like to list, in this article, what I think are the 10 destinations not to be missed out when traveling in this wonderful island and a possible itinerary to follow for those who want to discover the best, in terms of sea, nature but also culture and historical cities, which I believe can present them with an exotic and enjoyable trip without necessarily going too far away (AND WORTH IT!). 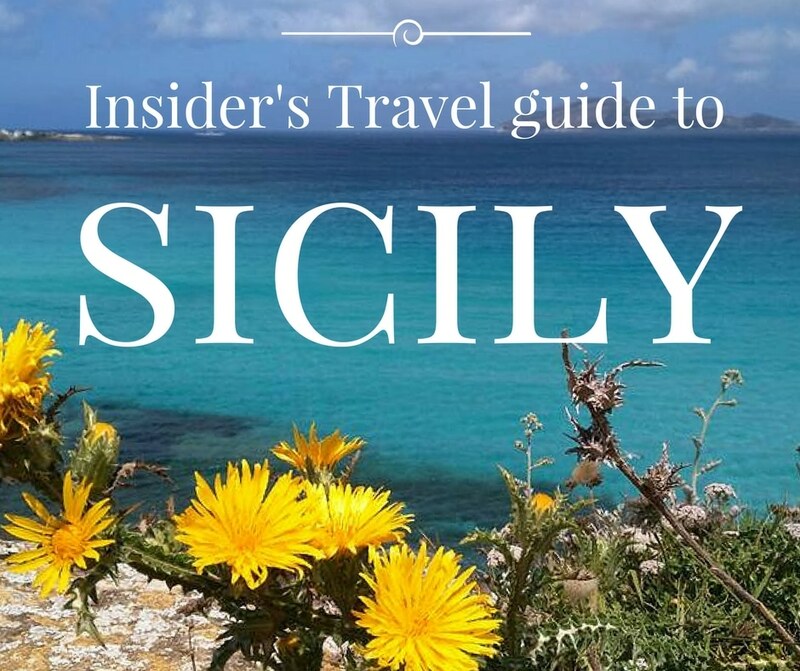 This post started as simple posts to mention the 10 inevitable destinations of Sicily but following the requests for more information, I have worked hard and long to make it a complete travel guide of my homeland! This work has taken more than a year of work, I spent many months in Sicily to discover and re-discover places more or less near home. 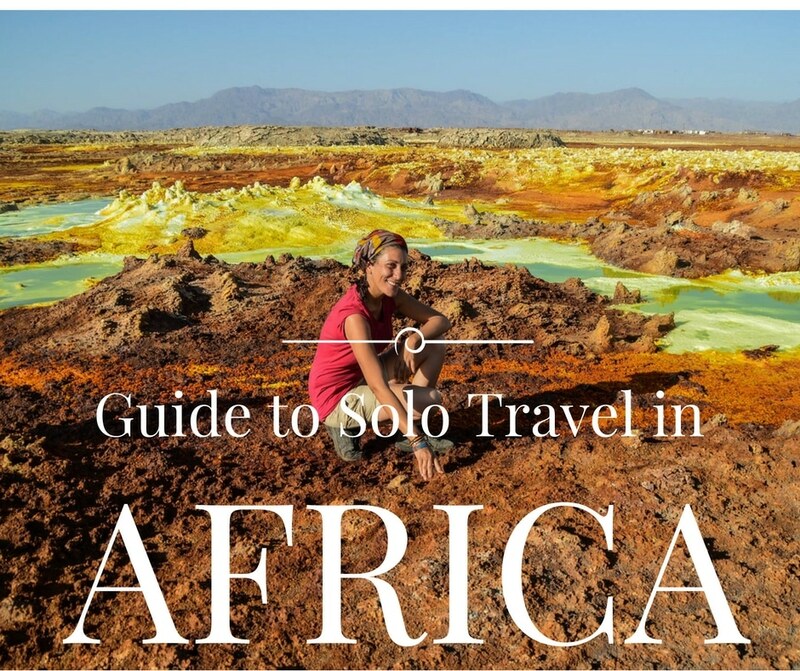 I hope this guide will be of help and inspiration for planning your trip in the wonderful Sicily! To simplify the reading I have divided the content into contents, click on the title of your interest to go directly to what you want to read. Some sections are not ready yet, but I’m working on them, as soon as they are online, they will be clickable. Which is the best season to travel in Sicily? Sicily has the advantage of not being exclusively a beach destination but it is a destination that offers wonderful traveling experiences 12 months a year. In order to make the most of what the island can offer, including the sea, the months that I generally recommend are May and June and September, absolutely the best month. July and August are high season, which means in addition to very high prices, especially on the east coast, Taormina in particular, also crowded beaches and difficulty in finding lodging options. 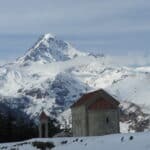 There really is no better season to travel in Sicily because even in the winter it will not be disappointing, no going to the sea, but the cultural heritage is so vast that a journey even in winter will give way to an incredible experience. The ideal for traveling in Sicily would be to rent a car, Rentalcars is a great site that aggregates prices offered by different car rental companies at competitive prices. Renting a utility car for 14 days, costs around €260 (of which to add the full coverage insurance if you want but highly recommended, the roads are very narrow and some scratches could happen). Alternatively, you can travel by bus or train although I must admit that the services in this sector are not exactly agile and especially take a long time. Not suitable for those with limited time and want to enjoy the most remote corners, especially when outside the cities or to combine several cities in one day. Or rail transport the reference site is Trenitalia. To reach the islands ferries and hydrofoils facilitate the journey, remember that in high season periods it’s better to book well in advance. Ferry Lines allows to book reservations on hydrofoils and ferries to the Aeolian Islands and the Egadi Islands (the sales commission, at the box office or online is €1.50 per person). Sicily lives mainly on tourism and the lodging options are numerous, in principle, a journey that touches the following destinations requires at least two weeks, if you only have a week probably the ideal is to have a more or less fixed base, for example this idea of itinerary that touches eastern Sicily and has Taormina as a base, alternatively for those who want to move almost every day, Sicily is big, and have, above all, enough time, then it is recommended to consider different cities. For bookings in the months of July and August my advice is to book as soon as possible. 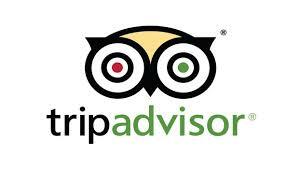 A portal to share reviews the site also allows you to book hotels by comparing the rates of different sites. Reviews and prices in one shot! 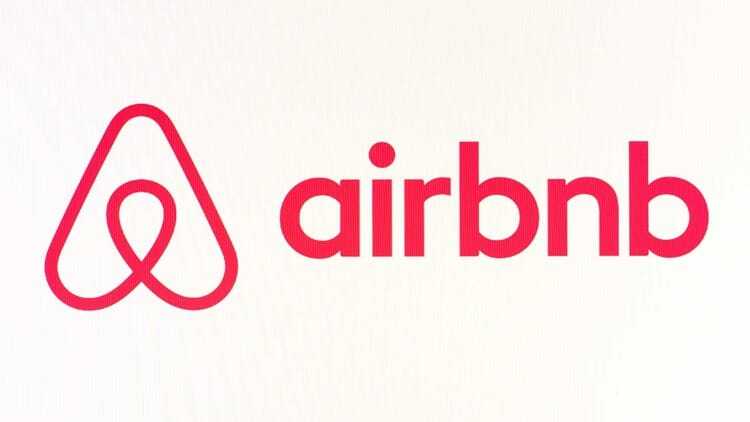 Needless to waste any other word on this site that we all know, more than 10,000 offers to comb through and numerous filters to find the right accommodation. Apartments, private rooms and villas all over the island. By clicking on this link I will give you €25 to use on the first booking (if not registered yet). To save money, mainly if you drive, it is best to book in towns or locations near the city you want to visit. If you only move 10km away from the city center you can find less expensive solutions. Indeed this is true even for those with a car that, in some destinations, may have trouble finding parking near the area. 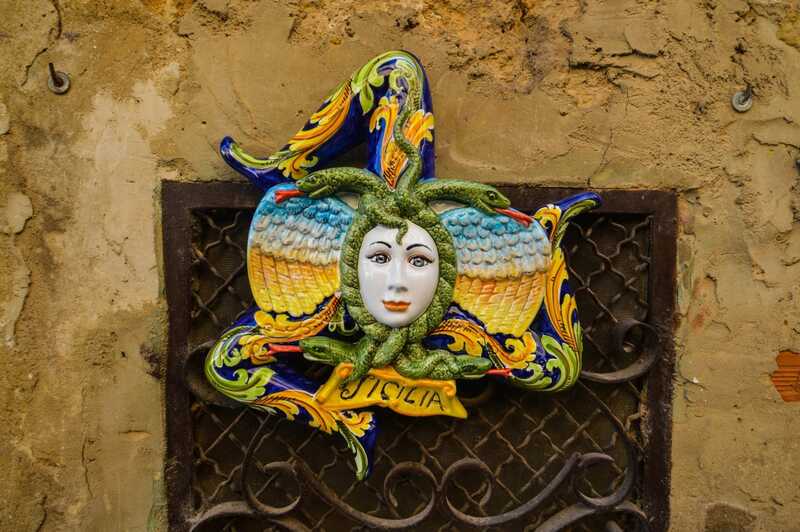 To save stay in Giardini Naxos or Letojanni rather than in Taormina. For convenience to stay in Mondello, rather than the center of Palermo. Where to start your trip to Sicily? To discover the destinations listed in this post will need at least 14 days, the airports of arrival can be that of Catania, Palermo or Trapani, served by Low Cost companies, with flights starting from € 20 per way. The ideal would be to choose between the east and the west of the island and dedicate the time to one of the two parts of the island. 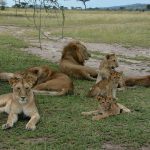 It is still possible to cover the main destinations in two weeks provided one is equipped with a car. The ideal time for this trip is May or September, when the temperatures go down and especially if you do not want to spend whole days at sea. If you land at Catania you can follow the tour clockwise that is: Catania, Taormina, Mount Etna and Nebrodi, Syracuse, Ragusa, Agrigento, Trapani, Palermo (from where you can visit Erice, Segesta, Monreale and Cefalu), Aeolian Islands, return to Catania. 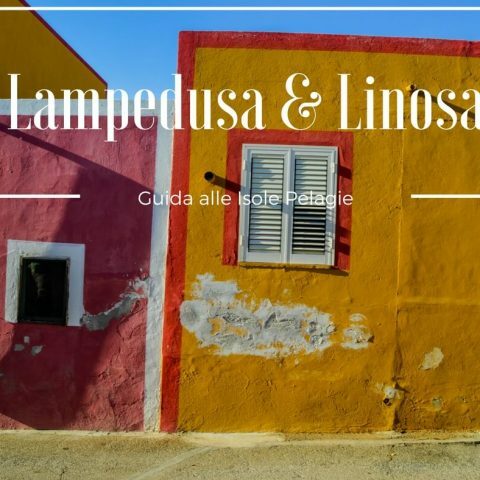 If you land at Palermo or Trapani the itinerary can follow this route: Palermo, Trapani, Agrigento, Ragusa, Syracuse, Catania and Taormina, the Aeolian Islands (alternatively Egadi islands from Trapani), Mount Etna and return to Palermo. 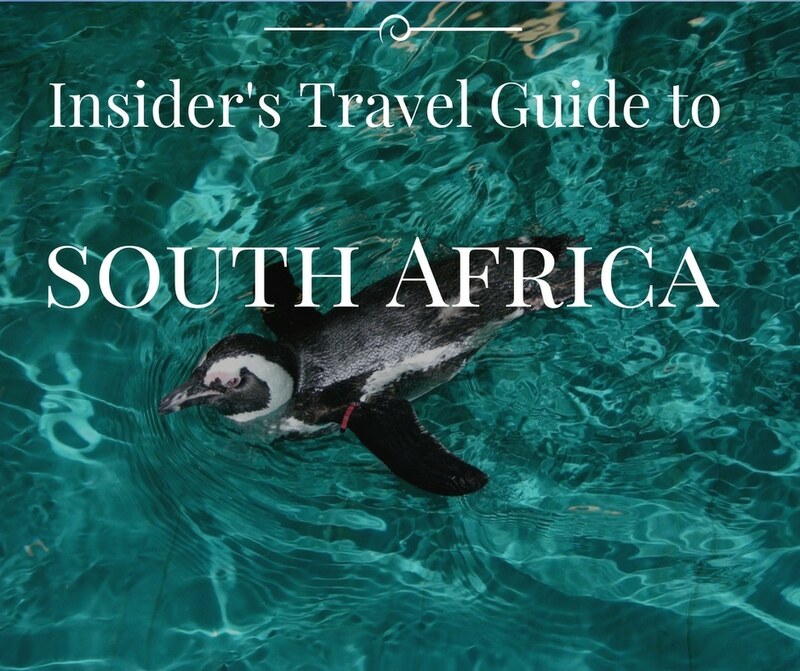 I highly recommend you to decide on the area you prefer to visit. It is possible to split the island into two parts, east and west. 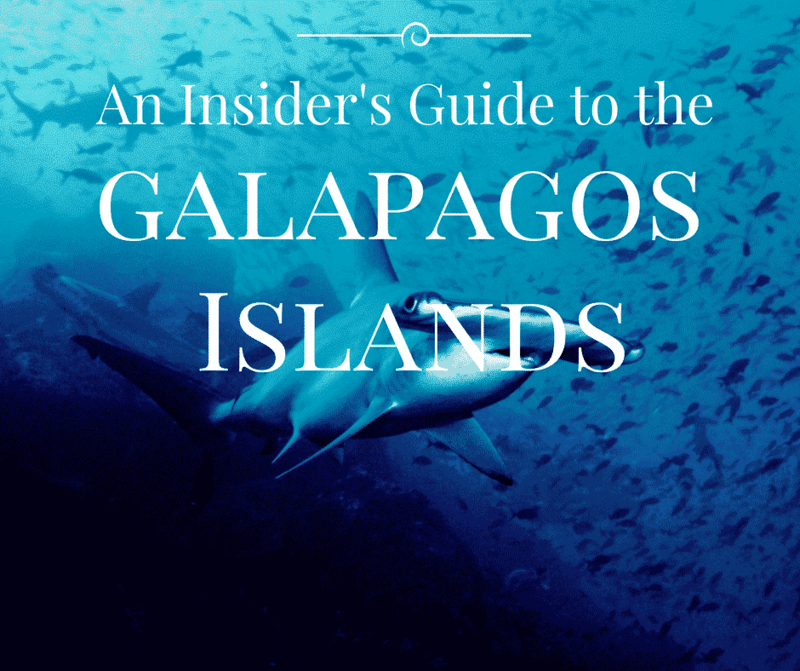 In order to discover the main cities and surrounding areas and dedicate a few days to the islands two weeks are needed for one or the other side. 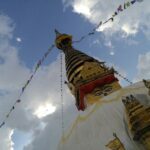 In this post I have wanted to list the main destinations. The truth is that only 4 weeks are not enough to visit the whole island! 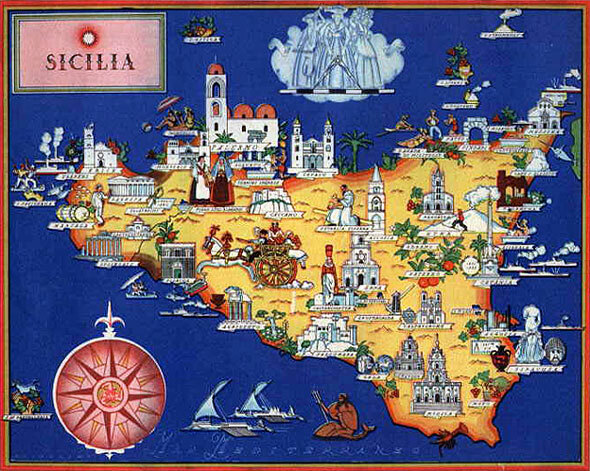 Sicily is an island enriched by many other islands. The archipelagos most famous and easily accessible from Trapani and Milazzo are, respectively, the Egadi Islands and the Aeolian Islands. 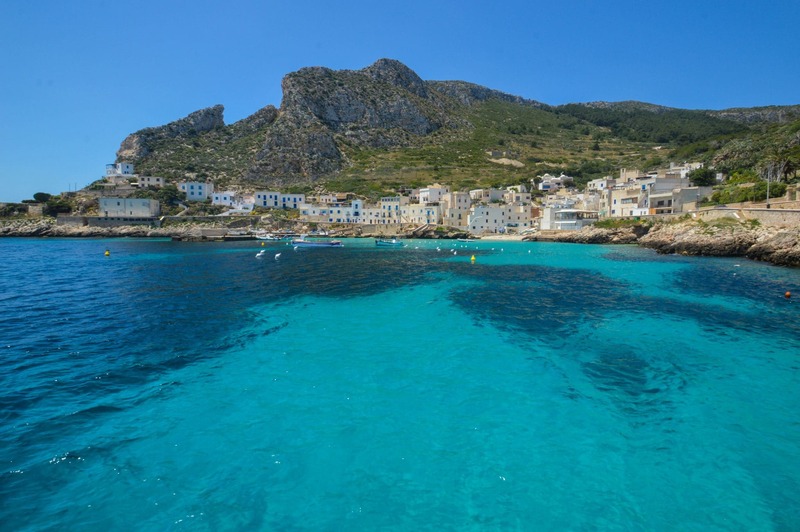 The Aegadian Islands are an archipelago of three islands each more beautiful than the other, Favignana, the most famous, is located just 30 minutes by hydrofoil from Trapani. Ancient islands and still quite rustic and wild. It is here that one wallows in the crystal clear waters of Lido Burrone, or have baths in the coves and caves of Marettimo or in the most solitary corners of Levanzo. 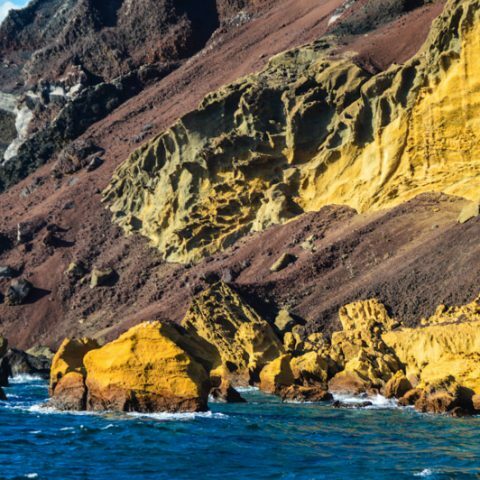 The Aeolian islands are definitely more sophisticated than the Egadi, apart Alicudi and Filicudi that still retain a wild spirit. There are 7 and in the north of Milazzo: Alicudi, Filicudi, Lipari, Vulcano, Stromboli, Salina and Panarea. The beaches are beautiful and the cuisine unique, especially if you love shellfish, fish and capers. 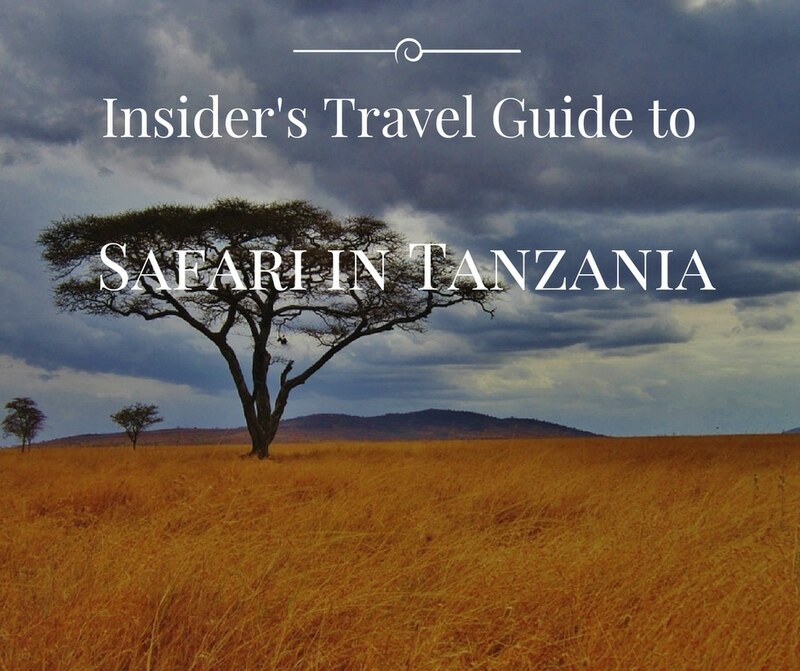 Erupting volcanoes, mud baths, elegant spots and wild vistas. It would be worth devoting at least 5 days of sailing boat to be able to know them all. For those with limited available time, that don’t want to miss the Aeolian islands, the best option is to take part in daily tours departing from Taormina. Agrigento is famous for the beautiful Valley of the Temples. Personally, I think it’s one of the most beautiful archaeological sites in the world, second only to the Acropolis in Athens. It is here that is found the biggest and intact temple in the whole island: the Temple of Concord. In the Valley of the Temples you walk among intact Greek temples and surrounded by olive trees and almond trees that bloom in February, here, every year in March is held the Festival of the almond trees in bloom. The entrance ticket to the Valley of the Temples costs €10 per adult. For more information on the Archaeological Park click here. But Agrigento has much more to offer, the old town is probably among the most decadent among the Sicilian cities, the air you breathe is particularly sluggish, as if it was wrapped in an aura of ancient melancholy. Small streets and yellow stone walls, internal courtyards and promenades in a silent city. Among the areas of the province that are not to be missed out La Scala dei Turchi, Favara and Punta Bianca. 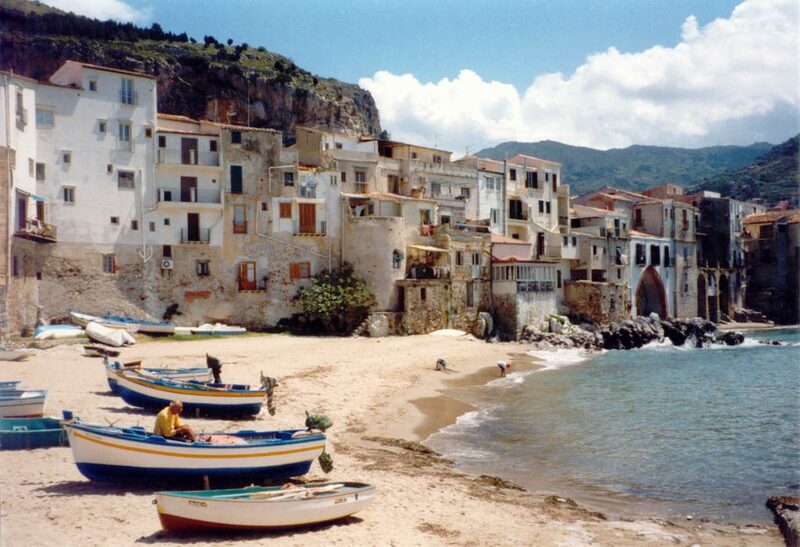 Some people call it the Taormina of the west, maybe it is not exactly so but Cefalu is definitely worth a visit. The monument that has made the city famous is the beautiful Norman cathedral of a design that recalls that of the French. Besides the cathedral one must not miss out here the ancient temple Siculo built on the rock that overlooks the city. 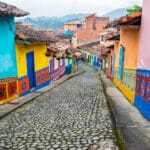 The town is typical medieval, narrow cobbled streets where you will also be able to do some shopping . Cefalu can be visited in a day from Palermo but it is worth staying also the night to discover it when the lights go down. Trapani and its province is nothing short of wonderful. 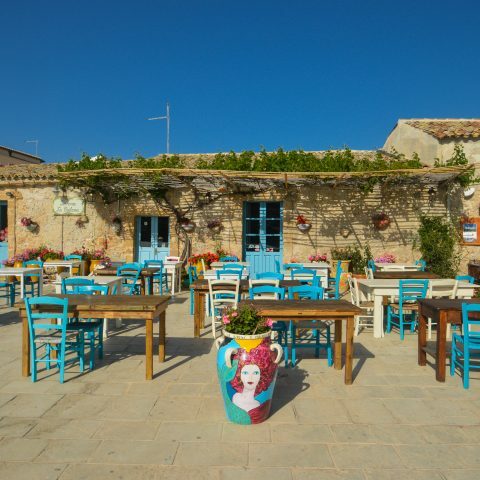 The old part extends along a point surrounded by the sea, destinations not to be missed from Trapani are the special Erice and the Egadi Islands. Erice is the seat of the International Study Centre dedicated to Ettore Majorana, founded by the Trapanese physicist Antonino Zichichi, and that attracts the most qualified scholars in the world for the scientific treatment of problems affecting areas of science and where you can eat the couscous with fish. But not only that. Erice is built on a mountain and in this town you can find Phoenician, Norman and Roman influences. It is built entirely of stone and walking here is really suggestive, stone medieval streets, a castle, churches. The ideal would be to come to Erice on Good Friday to watch the procession which contributes to make of Erice an even more suggestive city than what it already is. 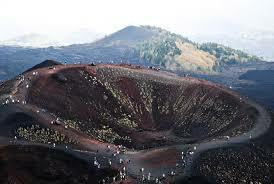 The largest volcano in Europe and still active, in truth this year 2011, it has given the best of itself with spectacular eruptions and lava spurts of 500 meters high. Excursions can be arranged up to 3000m but the only way to do this is to go with the company STAR that to take you to the observatory at sunset in jeeps charges €33. 3 hours to climb up to 3000 meters and f one is fortunate and there’s no mist you can enjoy a beautiful view. Even if you go in the summer and it’s hot take along a jacket because when you go up high it gets cold. 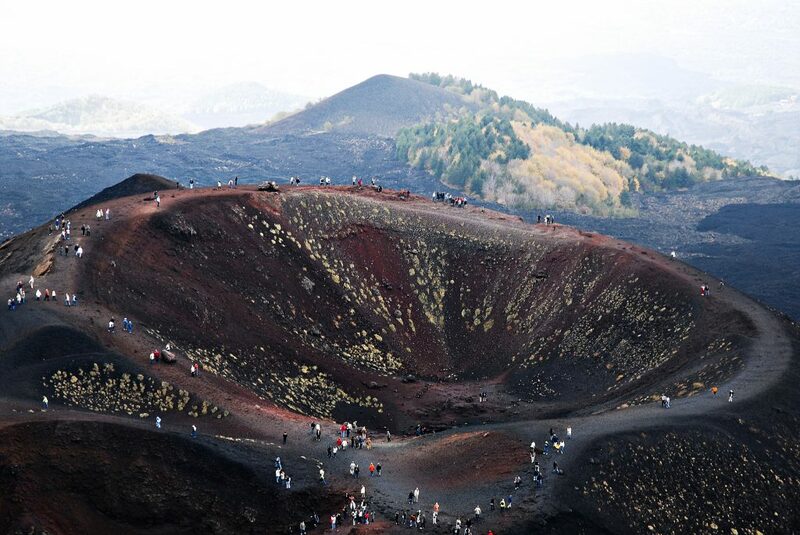 Just a little north of Etna you can also visit the Nebrodi mountains which represent very well what is expected of a Mediterranean landscape. The view from here is the same as that seen by the Phoenicians and the Greeks when they landed in Sicily. Palermo is the capital of Sicily and the largest city of the island. The city is chaotic but it has its Arab charm and that of a southern city as perhaps no other in Sicily. You might perhaps find it chaotic and confusing, unfortunately in recent years also dirty but it would be a shame not to see the baroque and Arab art that blend with medieval art and architecture. 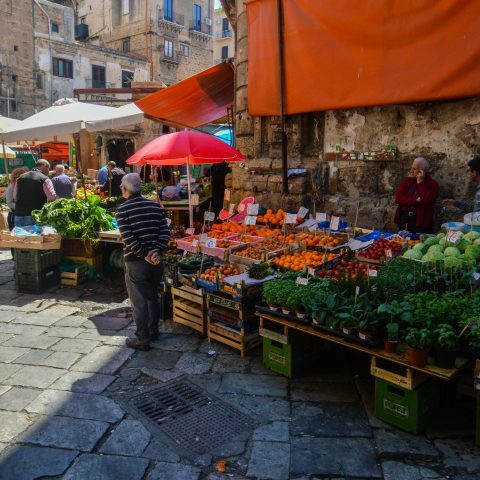 Palermo is famous for its markets and for the excellent street food. Although the most famous market, portrayed by Guttuso, the Vucciria does not really exist anymore, the Mercato del Capo and Ballarò are places outside of time that are worth visiting. Among the monuments not to be missed are the Norman Palace with its Palatine Byzantine Chapel (a small Monreale), monasteries and castles, and the beautiful cathedral with adjoined museum. Palermo can be a perfect base for trips to Cefalu, Monreale, Segesta, Erice and the Zingaro Reserve. It can be a day trip from Palermo absolutely to visit. The most important monument in Monreale is the cathedral famous in the world for the architecture that unites styles of northern Europe and Arab art. During the walk around do not forget to admire the view from the terrace of the square round the corner. 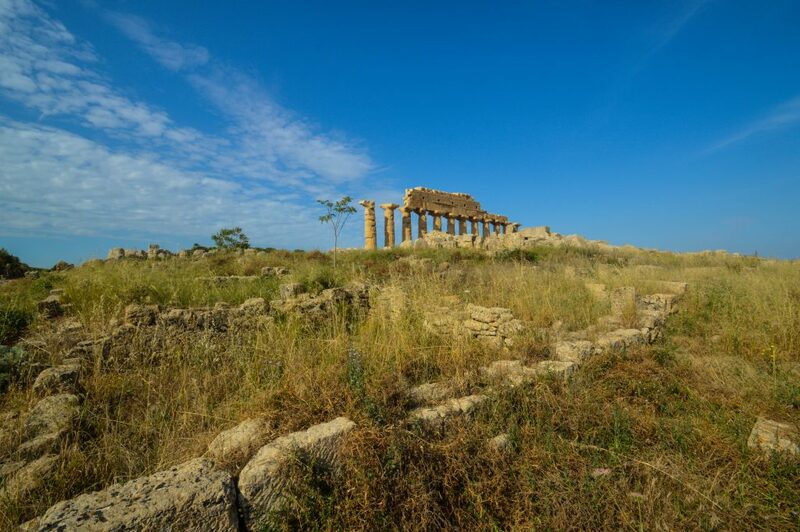 Agrigento has the Valley of Temples, but Segesta offers perhaps the best maintained Doric temple in all of Sicily indeed in the world of Ancient Greece in general. Segesta can be visited in less than a day, I advise you to associate it with a visit to Sciacca which is just 40km away. Segesta is the largest archaeological park in Europe, there are some temples on the Acropolis along with other secondary buildings, while other temples are located on a nearby hill easily reachable by foot on a pleasant walk. Many buildings are ruined as a result of earthquakes that occurred in medieval times, but some anastylosis interventions have allowed to almost completely rebuild the E Temple, the so-called temple of Hera, and to build up most of one of the long sides of the C Temple. Not far from Selinunte, just 40km, there is another Sicilian pearl, too often forgotten due to its location in the middle between the two main airports: Sciacca. The city is famous for its carnival and the baths, natural stoves of San Calogero on mount Cronio which date back to Neolithic times. In addition to the event that is of ancient times return of fishing boats, each day at 14:00, it is possible to admire from the harbor and then take part in the fishermen’s market where the fish is sold immediately. To know more about the market for Sciacca fishermen click here. Archimedes, Plato and St. Paul loved Syracuse that was one of the most important cities of ancient Greece and the most important in the Greek Roman Sicily. The archaeological park is huge while the ancient city, Ortigia, maintains some fascinating treasures. The cathedral of the city is surrounded by columns of ancient temples, typical phenomenon of the centuries of Christianity. A beautiful city where there is also a Greek theater where every two years are still organized the Greek tragedies just like they used to do in ancient Greece. From Syracuse you can organise visits to Ragusa, Noto, Ispica (where you can visit the quarry) and Modica famous for the chocolate made according to the ancient Aztec tradition. Called the Pearl of the Mediterranean, a town on a mountain overlooking the sea, with views of Calabria on one side and Mount Etna and the Bay of Giardini Naxos on the other. 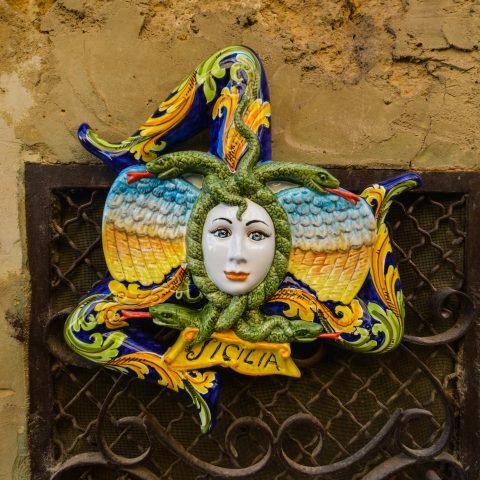 Taormina is a place known for the beautiful Greek – Roman theater and the mix of Greek, Roman and Arabic art that make it so special and famous in history. Walking around you can move from the Naumachie to the public garden, the small Odeon and the numerous churches. Founded as a gay destination over the years it has been chosen by great actors and artists from around the world to spend their holidays and still seems to maintain this leadership between the destinations throughout Italy. From Taormina you can visit the nearby Castelmola, a beautiful little village above Taormina and what is worth a visit is the Alcantara Gorges. 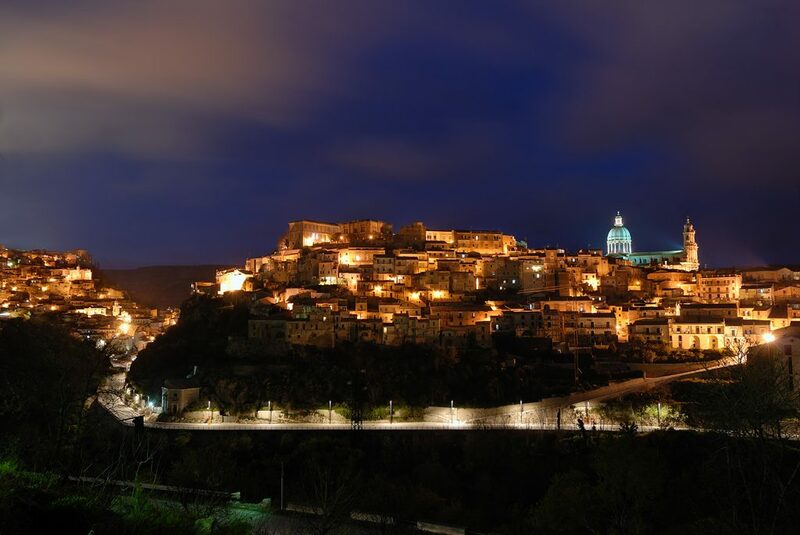 Perhaps one of the most attractive cities in the region, Ragusa and its Ibla Ragusa, returned in height and become a tourist destination, with Scili who has benefitted, in particular, thanks to the television series of Commissioner Montalbano, it is a city that leaves no one indifferent. Destroyed by the earthquake in 1693, it was rebuilt on the foundations of the ancient city, today it is a wonderful jewel of Sicilian Baroque among the most notable of the island. The city is located on a hill about 400 meters above sea level, and in the eastern part of the city, as if it were completely separate, stands the beautiful Ragusa Ibla on the Val di Noto, a concentration of Baroque art that it is today Heritage of humanity. 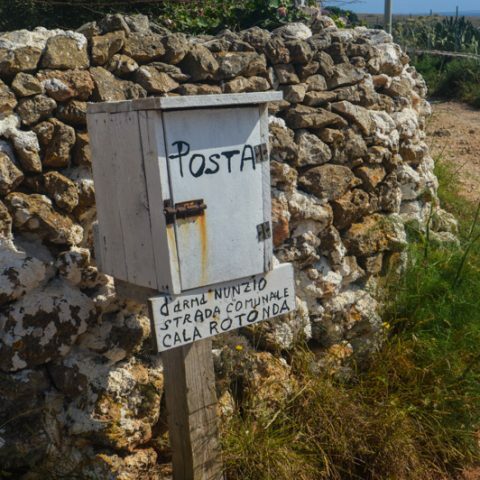 From Ragusa you can organise day trips to Modica, Noto and the southernmost tip of the island to the island of Currents, Porto Palo Capopassero and Marzamemi. Sicily offers many travel options, for those who love trekking, the sea, islands or culture, to food and wine trips. 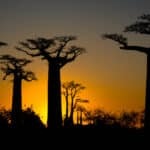 The itineraries are therefore indicative but, I think, represent quite well the endless travel options that this complex island offers to its visitors.